The leader of the proscribed Indigenous People of Biafra, IPOB, Mazi Nnamdi Kanu, Saturday shocked many when he said that he is not a Nigerian citizen. Disclosing this in a programme on ‘Radio Biafra’, Kanu opined that he would challenge the court order directing his arrest in the UK. Recall that a federal high court in Abuja yesterday revoked his bail for his continued absence in court. The same court also issued an arrest warrant against the IPOB leader. 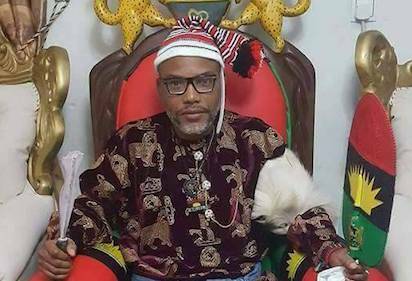 But reacting to his arrest warrant, Kanu according to Thecable, averred, “The revocation of my bail will never ever hold; they can never convict us because we have done nothing wrong,” he said.